“The President has sent a legislative proposal...to the Congress to eliminate that requirement and allow for the moving forward with the unified combatant command,” a senior administration official said last week. On Jan. 8, Acting Defense Secretary Patrick Shanahan asked for a “prompt repeal” of the law in a letter to Sen. James Inhofe, R-Okla., chairman of the Senate Armed Services Committee. Even though the President does not need Congress’ approval to create Space Command, the NDAA language puts them in a tight spot, a defense official said. A Senate Armed Services Committee spokeswoman could not immediately be reached for comment. The Pentagon must still take a number of steps before it stands up the military’s 11th combatant command. Among them, President Trump must nominate, and the Senate must confirm, a four-star general or admiral to lead the command. Right now, Pentagon officials are anticipating a confirmation hearing for the new commander in April and the command’s formal establishment in May, one defense official said. Last August, Pentagon officials said they wanted U.S. Space Command up and running by the end of 2018. 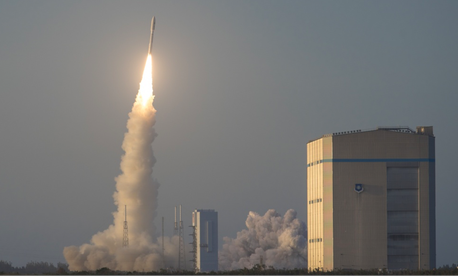 The creation of a new combatant command for space has been widely championed by Pentagon leaders, lawmakers and outside observers, since the idea was first floated in a Defense Department report to Congress a year ago. Air Force Gen. John Hyten, the STRATCOM commander, currently oversees military operations in space, in addition to the U.S. military's nuclear weapons. Hyten, who previously served as commander of Air Force Space Command, said space ranks third on his priority list, behind operating and modernizing nuclear weapons and nuclear command and control. The location of the new command is still up in the air as well. Initially it will be located at Air Force Space Command at Peterson Air Force Base in Colorado, but local politicians have championed other locations, including Huntsville, Alabama, home of the U.S. Army’s Space and Missile Defense Command; and the Florida Space Coast, home of NASA’s Kennedy Space Center and the Air Force’s rocket-launching 45th Space Wing. “There will be an official [Defense Department] basing study that will be done to determine the final location of U.S. Space Command,” the senior administration official said. Even after the new command is established, Hyten expects U.S. Strategic Command to continue space duties for a while.